M-Sport are pleased to announce a new partnership with Qatar for the 2013 edition of the FIA World Rally Championship (WRC) which will see the Cumbria firm run three Qatari liveried Ford Fiesta RS WRCs under the Qatar M-Sport World Rally Team banner in next year’s championship. Making their debut in the Fiesta RS WRC, Nasser Al-Attiyah and Giovanni Bernacchini will contest a seven-round programme scheduled around their other motorsport commitments. Launching their 2013 campaign at Rally Sweden in February, the duo will be looking to build upon their previous successes in the world series. Set to do battle for a record-breaking eighth FIA Middle East Rally Championship title with M-Sport’s Ford Fiesta RRC at the end of November, the Qatari driver was instrumental in making the partnership a reality and enjoys a strong relationship with the Cumbrian firm. Piloting the Ford Fiesta S2000 to its maiden victory at the 2010 Qatar International Rally – on the same weekend that saw Mikko Hirvonen secure victory in Monte Carlo – Al-Attiyah has a working knowledge of M-Sport’s range of Fiesta rally cars and is poised to contest what could be his best ever season in the WRC. 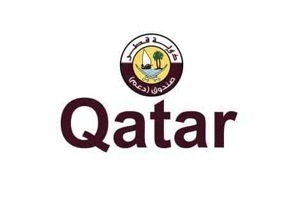 “We are delighted to welcome such a prestigious partner as Qatar on board for 2013. The partnership with Nasser [Al-Attiyah] and the Qatari State will enable M-Sport to continue at the pinnacle of the sport and we are looking forward to working together in the future. Since the 2012 season came to a close, work has not stopped and the entire team is working around the clock to ensure we deliver a strong package for next year.